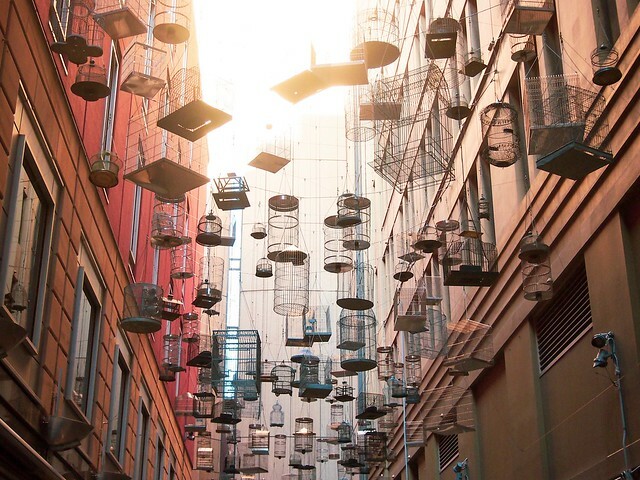 When I saw the hanging birdcages suspended on George Street, I was mesmerized by its beauty. It was in February when I saw and heard it first - The Forgotten Songs. 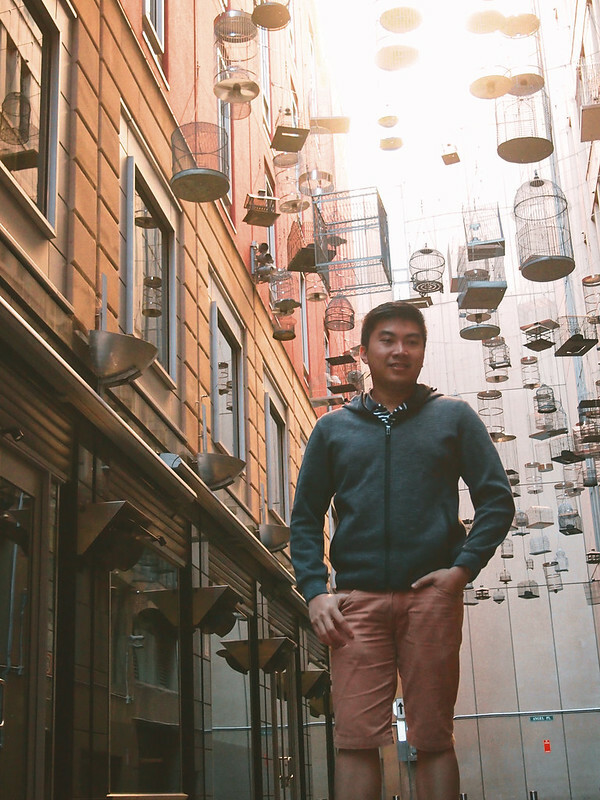 Paolo and I went to this restaurant, Bacco Osteria to celebrate our first year in Australia. The art installation was so beautiful and magical at the same time. 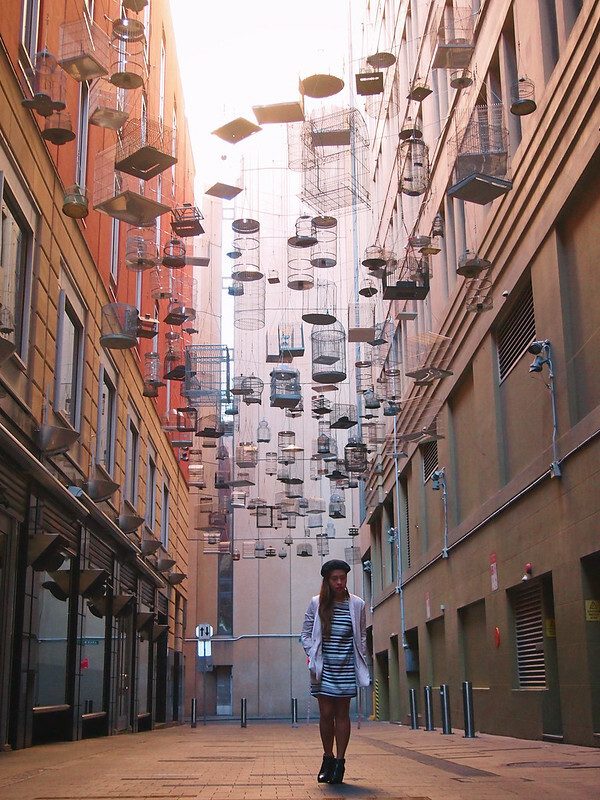 You will hear the sounds of birds chirping - of birds that were once flying around Syndey. 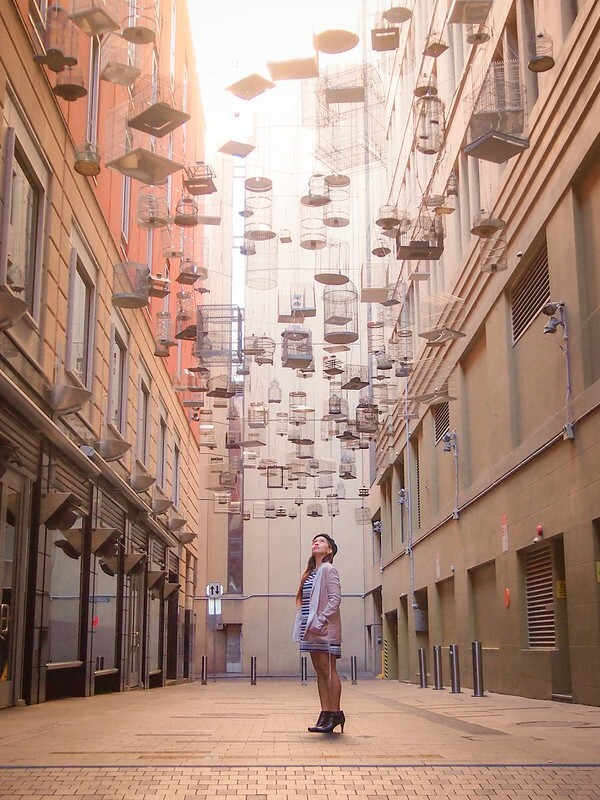 I had to do a second look to see if there were really birds inside the cages. 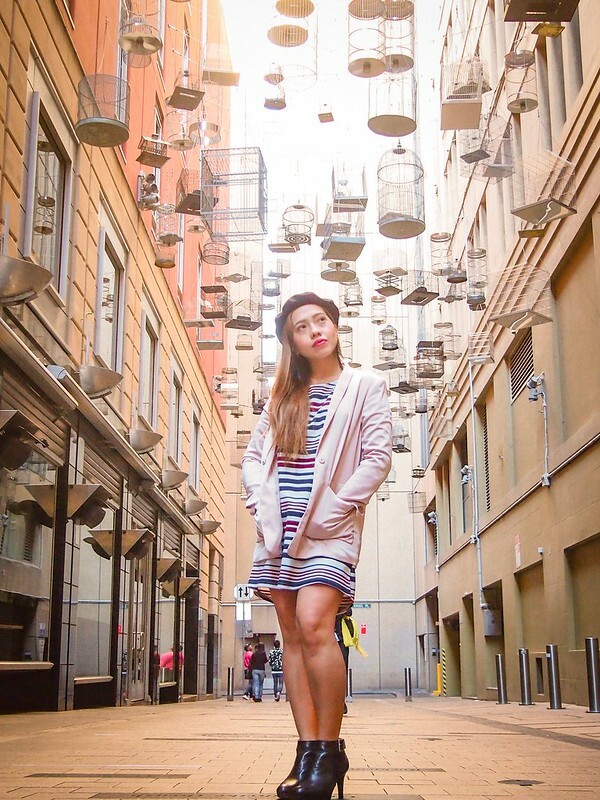 So when the husband, Paolo decided (for the nth time) to go to the city last Sunday, I asked him if we can go back to Angel Place this time for me to see the installation again. This time, I was surprised to see the streets empty. Apparently, the numerous restaurants were closed on a Sunday - which was a surprise, as we initially wanted to have our late lunch there. 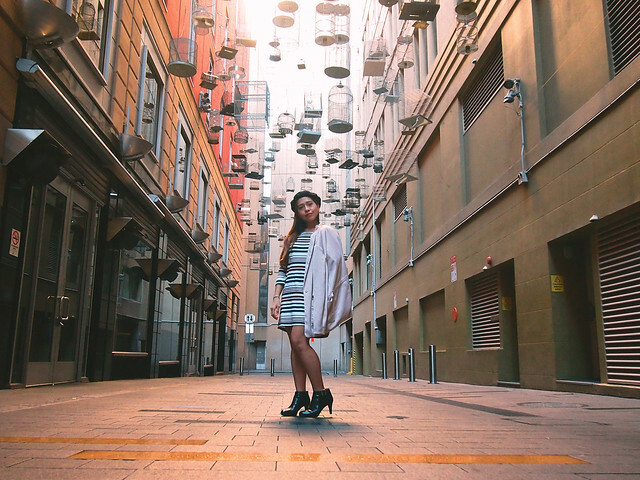 Whilst the street is empty, it was also my great moment to take photos of the place. It was quiet, peaceful and serene - perfect for its name, Angel's place. It can definitely make any picture stand out, especially when everybody would want to have their photos taken..
Leon was in a cranky mood while we were taking photos as he only wanted to sit and walk around. 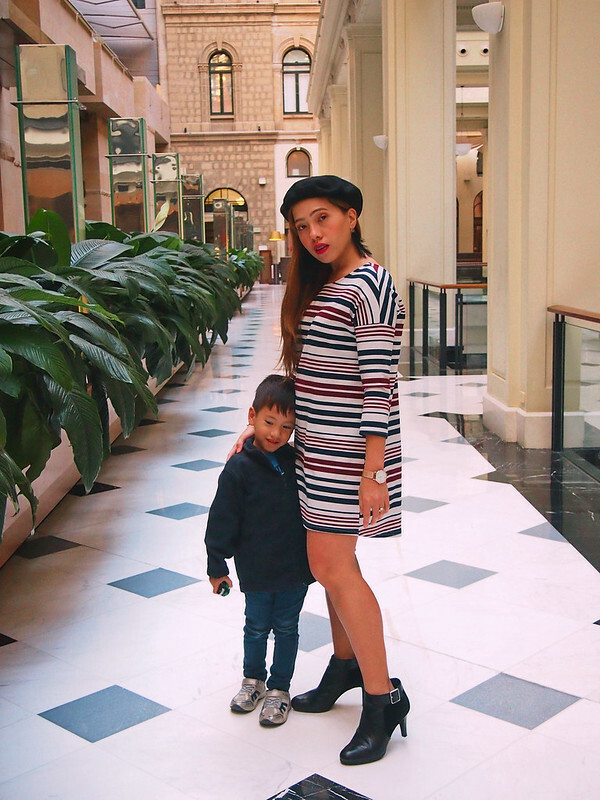 He got quite annoyed cause mommy has been talking photos the whole arvo. Working in Macquarie Bank, one of Paolo's employee priviledge is free parking on weekends. 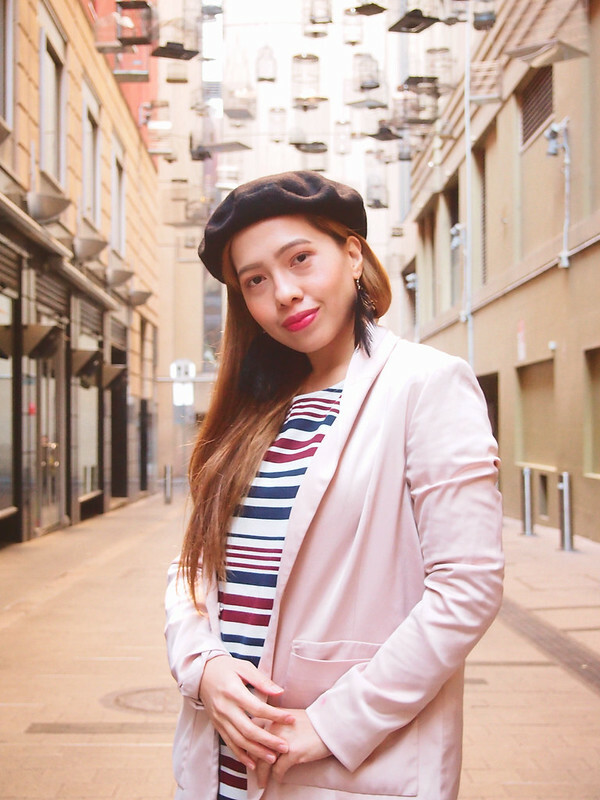 Since the parking in the city is crazy expensive (we're talking about at least $35), we usually take advantage of it - park our cars in the office and walk around the city.. And because 1 Martin Place is so posh and glamorous, I also asked Paolo to take more photos - of myself. 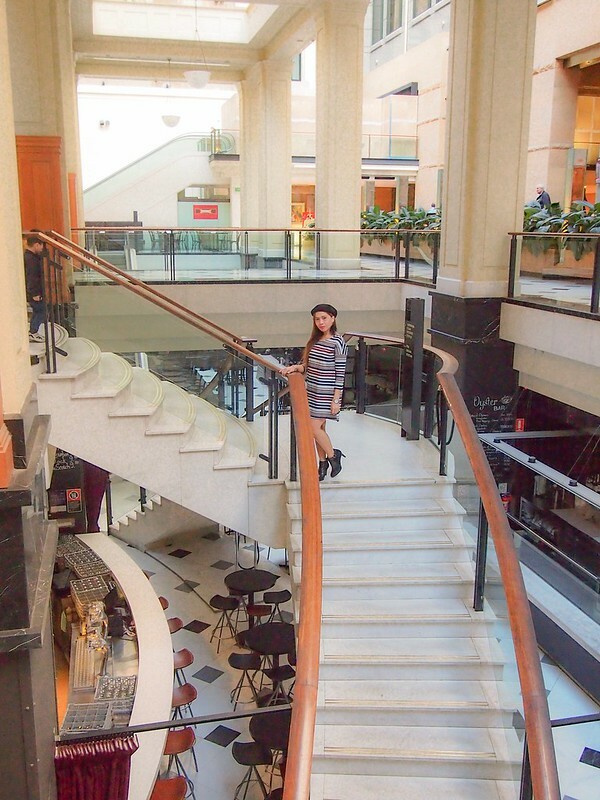 1 Martin Place, which happens to be Paolo's office building is also the building of the The Westin Hotel in Sydney hence the posh lobby. I seriously envy his workplace (but not his extremely stressful job).